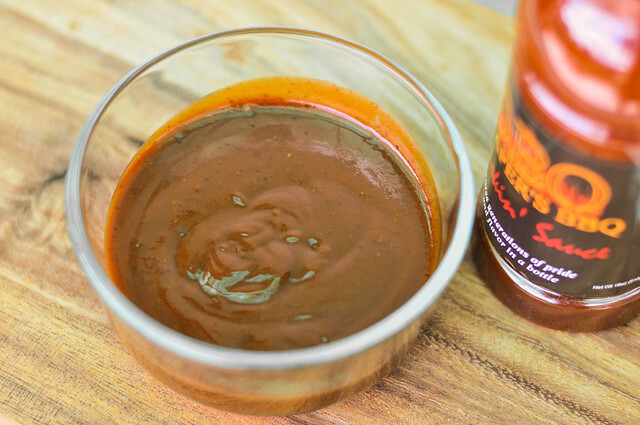 A deep, sweet molasses dominants this all-purposed sauce, but other layers of flavor—including mustard, tomato, Worcestershire, smoke, and spice—give it a great complexity. Shane Draper was kind enough to provide me with a bottle of his sauce for testing. His family roots run deep in barbecue, with his grandfather once owning Draper's Pit Barbecue in Bardwell, Kentucky. While restaurant life wore on the family and the shop eventually closed, the family barbecue traditions were passed down to Shane's father, Mike. After a stint away from Kentucky, his grandfather's passing brought Shane back to his childhood home, where he stayed and learned the ropes of cooking barbecue from his dad. 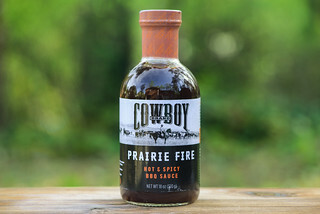 Transforming tradition back into business, Shane worked on developing a sauce that would blow away the big names—which it did, beating some heavy contenders to earn an 8th place in tomato-based sauce at Memphis in May—along with an accompanying rub. This sauce has a robust aroma that's not too heavy and is easy on the nose. Molasses dominates, with strong showings from mustard, tomato, and Worcestershire sauce just behind that heavy sweetness. There's only a faint hint of vinegar, as well as a bit of liquid smoke. This very smooth, maroon sauce runs just slightly north of a medium thick. From a suspended spoon, there's an initial chunk that releases and the remaining sauce slowly drizzles off in a smooth, steady stream. There are some visible spices here, mainly black pepper specks here and there. The delicate aroma is deceiving, as the taste is rather bold. It all starts with a very deep, sweet molasses that overtakes the ketchup that's clearly the base. As it settles on the tongues, the sweetness remains, but the mustard and Worcestershire start to make their presences known, along with hints of garlic, onion, and a little herbal action. 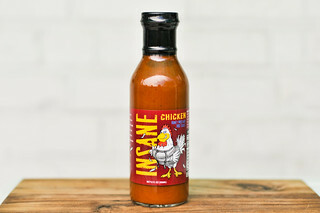 Finally, the vinegar kicks in and the sauce momentarily becomes tart before it ends with a nice heat and kick of smoke. Basted on chicken, the sauce coated well, although slightly uneven, then caramelized just the right amount over direct heat, leaving nice crispy bits here and there. In the flavor department, the sweet molasses was still the dominant trait, but it was scaled back a little and found a more mellow balance with the other ingredients. It was mainly a sweet barbecue flavor throughout, but with a little added bonus of heat jus at the end. 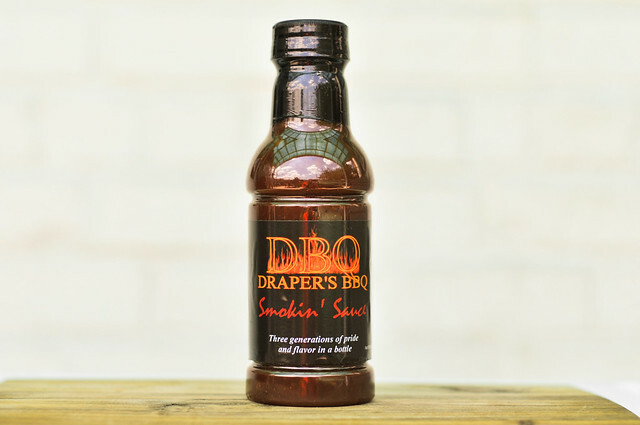 Draper's BBQ Smokin' Sauce is a fine all around barbecue sauce. If you're a fan of the sweet stuff—especially molasses—but want a little kick as well, this is for you. It's heavy flavor means it can stand up to almost any meat, although as a dip it could be overpowering for some more delicate items, while cooking mellowed the flavors a bit, making more adaptable for almost any need. Big thanks to Shane Draper sending me this sauce, but once it came I realized I happened to have one bottle in the house already. Seeing how found you Meatwavers love this free sauce thing, it only seems right to give that second bottle away. To enter the giveaway, comment on this post with the favorite thing you've grilled so far this summer. Deadline for entries is 11:59pm on Tuesday July 24, 2012. Read the official rules for more details. One entry only per individual. Good luck! The greatest thing I grilled this summer was a 1.5 inch thick, angus dry aged usda prime ribeye, for the fourth of July. Used an instant read thermometer and got amazing results. Used hardwood charcoal, NOT lump, but actual hardwood charcoal bricks. I think I like it better than the lump. I have yet to try this sauce. From the look of the ingredients, the profile could be used with chicken, pork, or beef! I'd like to give it a shot! Not very Meatwavey but whole fish is one of my top summer grilling items. The best thing I cooked this summer was pulled beef with a smoked ghost pepper rub. Absolutely fantastic. Hands down a crowd pleaser, Beef short ribs on the rotisserie injected with a garlic butter marinade. Slow coals for 6 hours. Very rich and satisfying MEAT. My favorite thing this year has been chicken wings. We did three flavors: BBQ, Hot Buffalo, and Sweet Asian. 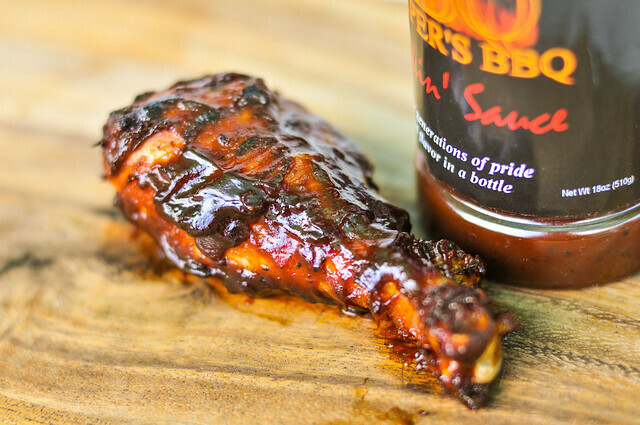 my fave to grill this summer has to be the baby back ribs!! I got a new stainless steel grate for my BGE and broke it in with some filets and some grilled caprese salad.